The Blackstone Group LP (NYSE:BX) is all set to start is new “big bet” hedge fund, Blackstone Senfina Advisors, and has the first traders for it. Blackstone is in the process to create a multi-strategy hedge fund and manage it with separate teams of traders dealing in millions of dollars. As per the sources, The Blackstone Group LP (NYSE:BX) was able to attract some of the best investors from investment groups such as Serengeti Asset Management and Ziff Brothers Investment. The company is trying to setup at least 30 separate teams for the task and each of these teams would have $100 million with 4x leveraging permission over the amount. These new traders will not serve under Blackstone’s banner, rather they will manage from their P-E firm clients and their remuneration will comprise of a flat percentage management fee depending upon the assets under management. All of these teams will work under the direct supervision of Blackstone employees. The name of the hedge fund, Blackstone Senfina Advisors, comes from Esperanto with “Senfina” meaning everlasting. 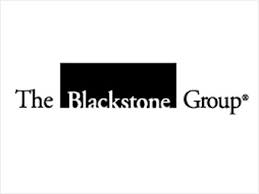 The Blackstone Group LP(NYSE:BX) has over $279 billion under management and it has spent nearly five years in the planning process of the hedge fund. The company reported economic net income of $1.15 per unit for the second quarter 2014 with an increase of 64% from the last quarter. Blackstone reported distributable earnings of $0.65 for the quarter against $0.28 for the same period last year. BCP V gave the strongest outcome for the quarter with revenue of $579 million and economic net income of $487 million. The Blackstone Group LP (NYSE:BX) is planning to sell 1.2-million square foot of commercial space, 1095 Avenue of the Americas NY, to Verizon Communications Inc. (NYSE:VZ).